School staff and refuse collectors in Thorpe St Andrew near Norwich were happy recipients of 1000 Hours acts of kindness on March 26. Geoff Lawton and others in the Gateway Vineyard schools chaplaincy team visited both sites at Thorpe St Andrew High School (Pictured above), Hillside Junior School and Dussindale Junior School to deliver a fine selection of home-made cakes to say thank-you to staff. 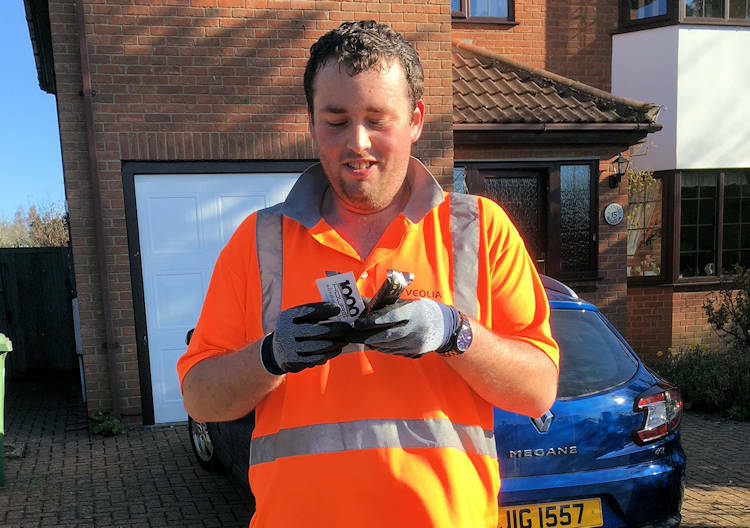 Refuse collectors in Thorpe St Andrew were also given bars of chocolate in appreciation of the great work that they do (Pictured below). Into the last few days of the 1000 Hours project and almost 1,500 hours have been clocked up.